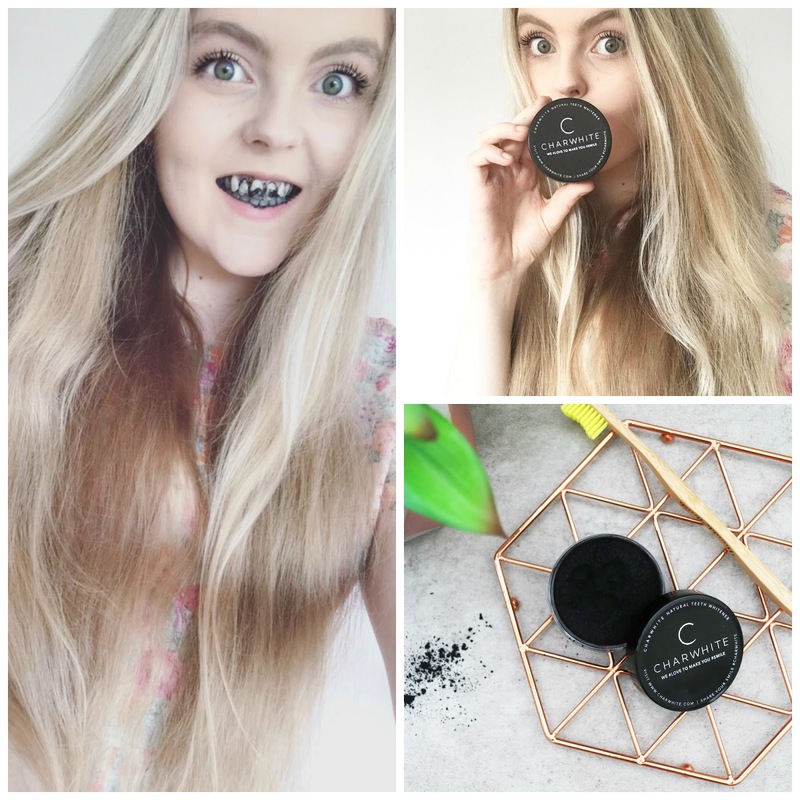 There's been a trend of using charcoal to whiten teeth and I really wanted to give it a go and see if it would make a difference. 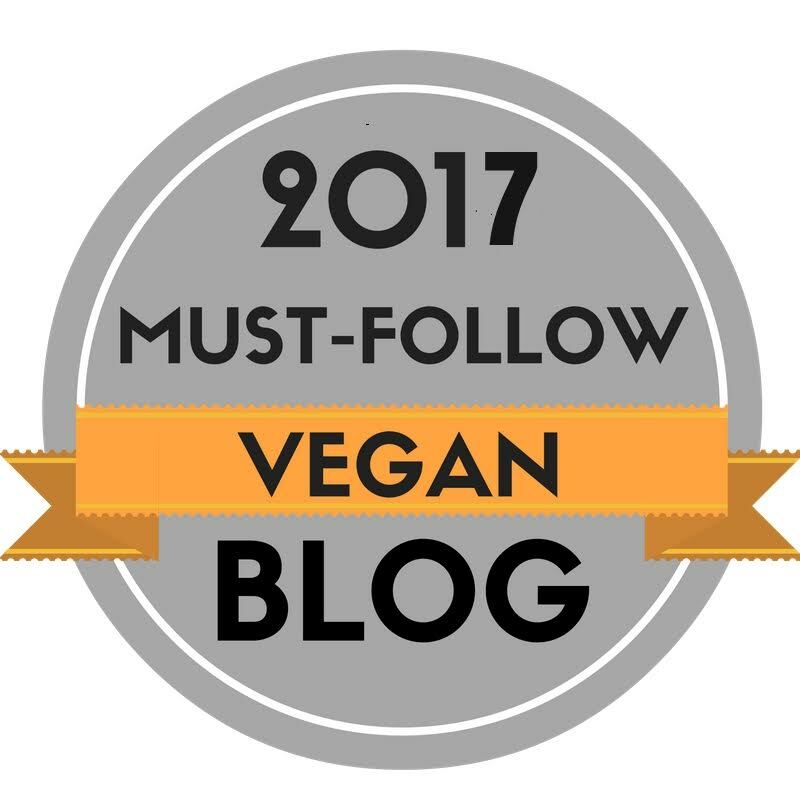 I am always on the lookout for new products to incorporate into my beauty routine. So does covering your mouth/teeth in black powder results in white teeth?! I know it sounds crazy, but it actually works! 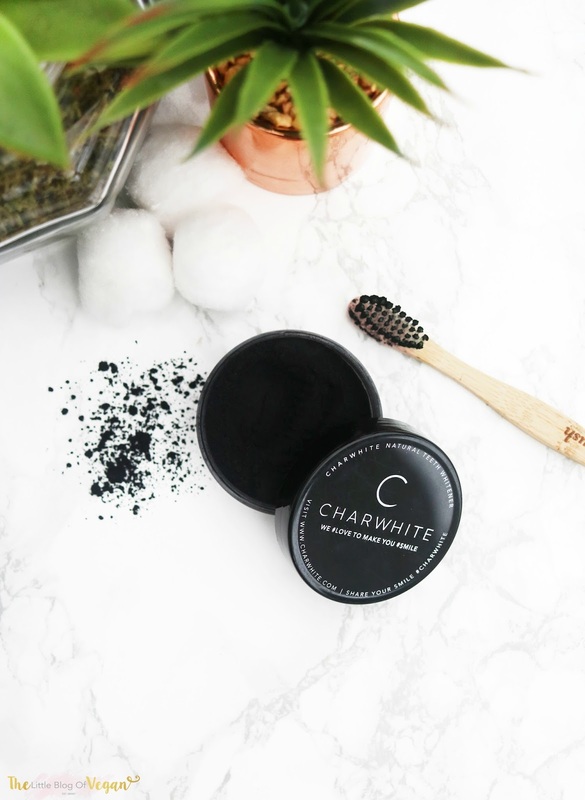 There are many different ways to use charcoal to whiten teeth, but today I want to show you the one where you brush the charcoal powder onto your teeth. Charcoal helps to whiten teeth as it's a purifying agent that absorbs impurities. It can remove/reduce the signs of stains on your teeth and make them squeaky clean. How amazing is that?! It also strengthens enamel which is insane! 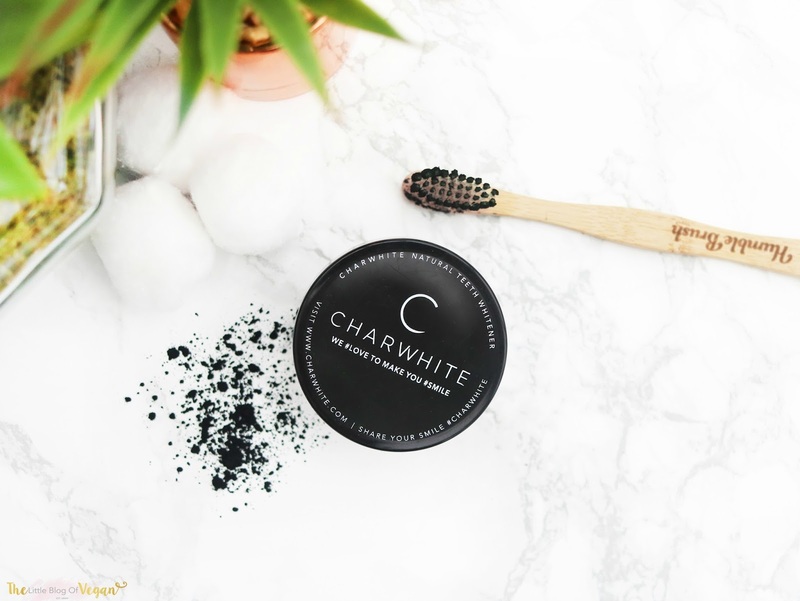 Charwhite Cosmetics have a vegan charcoal pot which is all natural, vegan, cruelty-free, fluoride-free, non-toxic and non-GMO. Its also great to know that some of your purchase of Charwhite will go towards some non-profit organisations they support like: Charity Water and Pencils of Hope. Yes, It does make your mouth look....well, you can make up your own mind but beauty is pain...right?! To apply, wet your toothbrush and then apply a decent amount of the product, by dipping the bristles into the charcoal. Then you can brush your teeth. Brush for a few minutes working in a circular motion. Then rinse out the charcoal thoroughly. 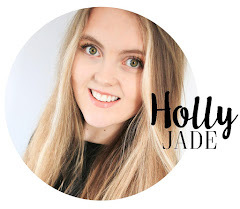 When I brushed my teeth, I made sure I closed my mouth as I started to brush as I didn't want to get covered in a charcoal dust cloud, which can be a nightmare! I can vouch for that! Brush for around 2-3 minutes making sure to cover all your teeth then rinse. Make sure you don't inhale the powder. A plus of using charcoal is that it has completely no taste which I was worried about. It also doesn't stain your skin so if it gets over your face, it just washes off easily. I love this technique as opposed to unnatural and toxic gel whiteners etc. I prefer to use a less harsh and natural product to get results! :) Highly recommend CharWhite!!! Nice post! 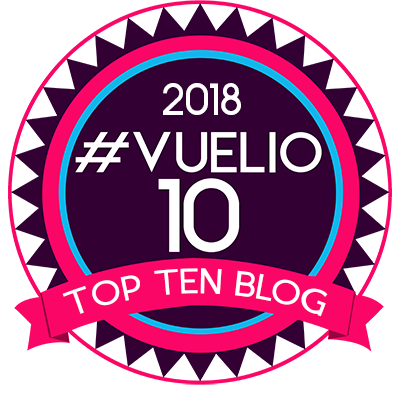 This is a very nice that I will definitively come back to more times this year! Thanks for informative post. I looove charcoal products! Too bad you can't use them too often. I use one time per week charcoal powder (for my face) and one-two times per week charcoal toothpaste. Everything from Virginic (https://virginic.com/collections/all-oral-care-products). 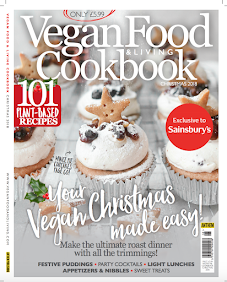 I love their products, everything is 100% natural with no - chemicals, vegan and cruelty-free. I just recommend to brush your teeth under shower otherwise it can be pretty messy. Did any of you try charcoal in your food? Or that is too much?